As an indie author, I’ve increasingly found Goodreads to be one of the best places to reach readers but–maybe even better–I’ve found it to be a great place to relax and just be a reader, as well. But since the focus of this blog is writing and the indie life, I’d like to share three Goodreads tips for writers (I may do a blog someday about being a great Goodreads reader). And that was the tame stuff. 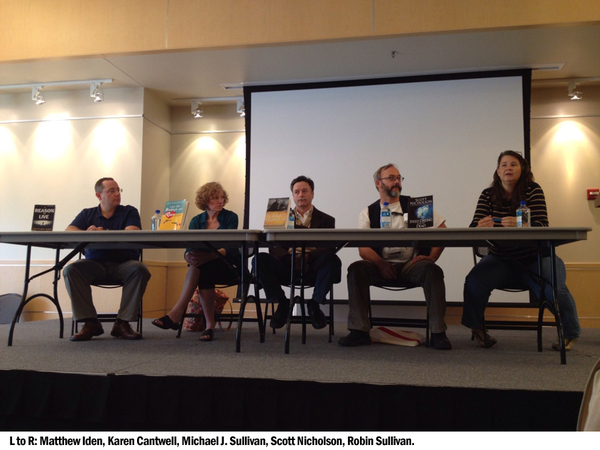 This past weekend, I was lucky enough to both organize and participate on an amazing self-publishing panel (though it’s over, see my original announcement for more details). For those of you who couldn’t make it, you missed a 90-minute, crash course on self-publishing success, failure, resilience, and prediction. This is less of a deeply informative post than a quick observation, really. I’m off for Southern France–I’ve always wanted to say that!–for two weeks and things are hectic here. Thanks to a KDP Select “free” bump, I’ve sold almost 600 copies of A Reason to Live since August 6. Besides making me giddy and a little delirious, it’s also demonstrated some interesting things about that little-known self-pubbed writer’s friend, the Amazon sub-list.